Cheeseburger | Love. Eat. Music. One Little thing that defines my world is my love cheeseburgers <3. Not just an ordinary cheeseburger that you can buy at the store, but my moms cheeseburgers. This may sound corny but it’s like heaven! She makes it with love and an ordinary cheeseburger just taste ehhh. Also the fact that I help her make them it makes me proud. 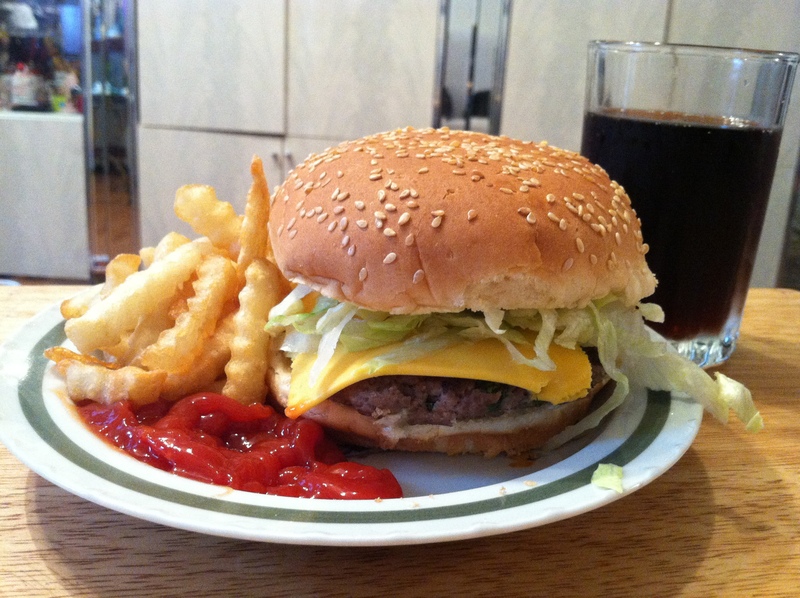 You might say that the reason I love cheeseburgers is because its food, but besides that its because I helped make it. Have you ever done something or made food and afterwards you were happy whatever the outcome was because you made it. You were proud of yourself and if someone else were to make it it wouldn’t taste as good and you’ll just be like ehh. Yup that’s how i feel every time i eat a homemade cheeseburger. Here is a quick picture of my cheeseburger 😀 Yum. I bet this is your face right about now.